Director, Profile Investment Services, Ltd.
Doug began his career on Wall Street in 1992 at Dean Witter. After developing a successful practice in New York, Doug moved with his wife and family to Israel. Doug is accredited by the Israel Securities Authority (ISA) as a licensed Israeli advisor and is also a licensed U.S. advisor. He holds the designations of Certified Financial Planner™, Registered Investment Advisor, and Trust and Estate Practitioner. He is a member of both the Financial Planning Association and of the Society of Trust and Estate Practitioners. Doug is frequently invited to give lectures as well as teach college courses on investing. He is often invited to comment on financial affairs on radio and TV and in local and international newspapers. He also serves as a trainer and consultant to banks in Israel. Doug’s advice appears weekly in The Jerusalem Post, and he hosts a weekly radio show, Goldstein on Gelt, about business and investing. He is the author of the book Building Wealth in Israel: A Guide to International Investments and Financial Planning, and newly published Building Wealth: Investing in Stocks. How to find an adviser who is focused not only on saving for retirement but also drawing down savings post-retirement. And what is a retirement strategy that generates income without drawing down your principal and will protect against inflation. A recent widow in her seventies came into my office for an initial meeting on how to increase her investment income. She said that the $25,000 per year from her portfolio and pensions was simply not enough income to maintain her lifestyle. While a financial loss can be devastating, it doesn’t mean that your situation can’t be improved. Sometimes, your loss can even, ironically, spur you on towards future success. When you put money in the stock market you give up the certainty in return for the potential reward of growth. By choosing a risky investment, you bet that the potential for high profits is greater than the possibility of losing your money. Why Are Dividend-Paying Stocks Like A Paycheck? Dividend-paying stocks can provide steady income in the form of regular quarterly cash payments. Can asset allocation be reduced to a formula, or is it more complicated than that? Doug Goldstein and Tom Jacobs, money manager with Huckleberry Capital Management, discuss rules of thumb for asset allocation. Audio length: 00:21:30. Thanks very much for your comment, Joe. There are a lot of different ways of measuring risk in the stock market and I will try to touch on some of them and upcoming posts. What will the new American president do for the American economy and perhaps more importantly, your retirement savings? Description: The Goldstein on Gelt radio show incorporates investment tips, financial planning ideas, listener letters, and fantastic guest interviews with Nobel Prize winners, best-selling authors, world-famous money managers, and more. Description: Fundamentally, what separates a good chess player from a great player is the ability to create strategies and to adapt them to changing circumstances. Similarly, successful investors don’t just know a few tricks for picking stocks or building a budget. 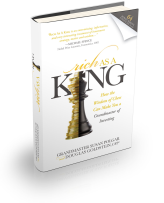 Rather, building wealth requires the ability to observe and examine the financial world and know when to act, react, or sit still.Rich As a King draws on the core strategies of grandmaster-level chess players and teaches you how their skills can guide you towards financial growth. 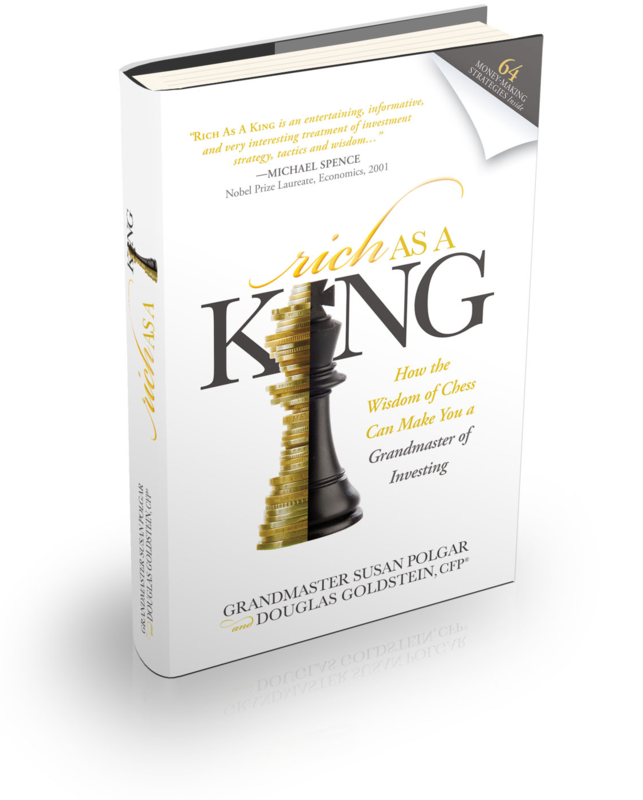 The concepts addressed in the book include strategy, pattern recognition, efficiency, precision, and planning. Description: Financial columnist for The Jerusalem Post, Doug Goldstein, asks: HOW COME SOME PEOPLE "MAKE IT" FINANCIALLY AND OTHERS DON’T? The author presents a solid overview of practical strategies for achieving financial success in the Israeli market. Writing in an easy-to-understand manner, Goldstein teaches his readers how to get their financial houses in order and how to create, step-by-step, long-term plans for their wealth. Special Guest chapter on Taxation by Leon Harris, CPA, International Tax Partner, Ernst&Young, Israel. Description: This blog contains the weekly pieces that Doug Goldstein writes for publication in the Jerusalem Post.